The filming for Chiyaan Vikram's next, Sketch has been progressing in good pace while the team revealed the first look of the film very recently. There were plans that a motion poster for the movie will be released on Vikram's birthday, 17th April. But today, there were speculations that the motion poster is scheduled to release at 7 pm, today. When we contacted the director, Vijay Chander, he confirmed with us that there would be a motion poster which will be coming out this evening and it is not planned for the 17th of April. Now, in this case, what are the plans for Vikram's birthday? 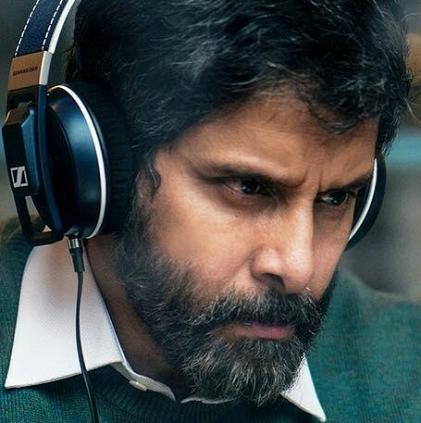 Will there be another teaser or something interesting from Gautham Menon's Dhruva Natchathiram camp or will there be a teaser from Vijay Chander's Sketch team? We have to wait for further announcements to know more! Just In: Atlee’s next release before Vijay 61 gets a date! BIG BREAKING: After Vivegam, Siva to direct Superstar Rajinikanth? People looking for online information on Sketch, Vijay Chandar, Vikram will find this news story useful.